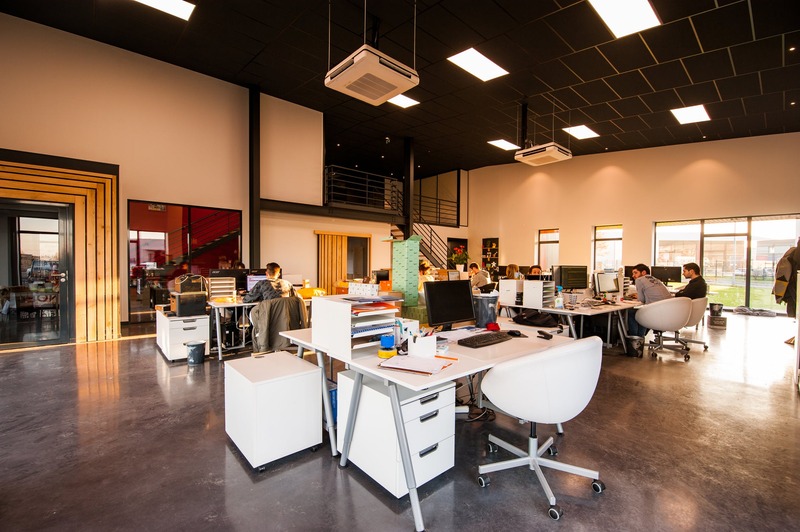 Blog How Much Office Space Do You Really Need? 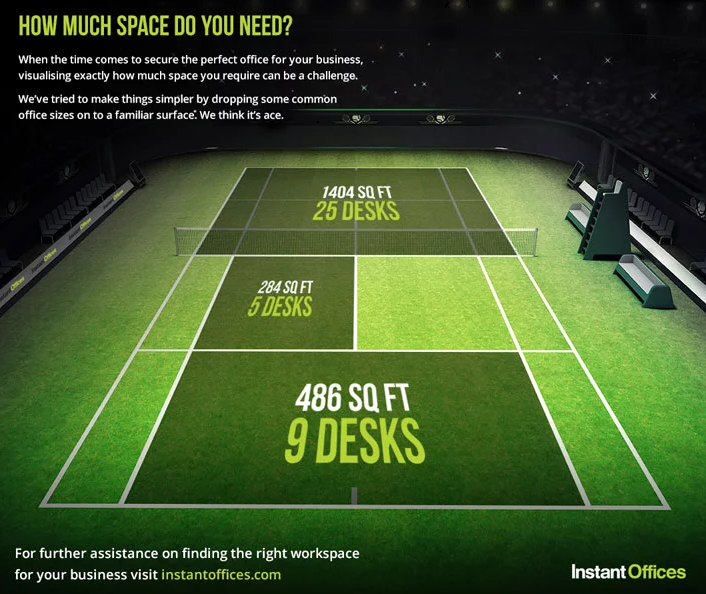 When you begin the process of finding a new office, your first consideration should be size. Layout, furniture, seating arrangements…none of these factors matter until you know how large of a space you require. After all, the size of your office is the one thing you can’t change without incurring a significant expense. How much office space do you really need? That’s actually a complex question. We can’t give you an exact figure or a clear formula, but we can explain what you should consider to answer that question for yourself. Consider the following variables carefully. If you lease too little space, you’ll struggle to fit your growing business and possibly handicap your growth. If you lease too much space, you’ll find yourself burdened by unnecessary costs. As you start to hunt for a new office, every listing will throw the same number at you right away: Square footage. This metric will also be the first feature real estate agents will mention when they walk you through a new space. 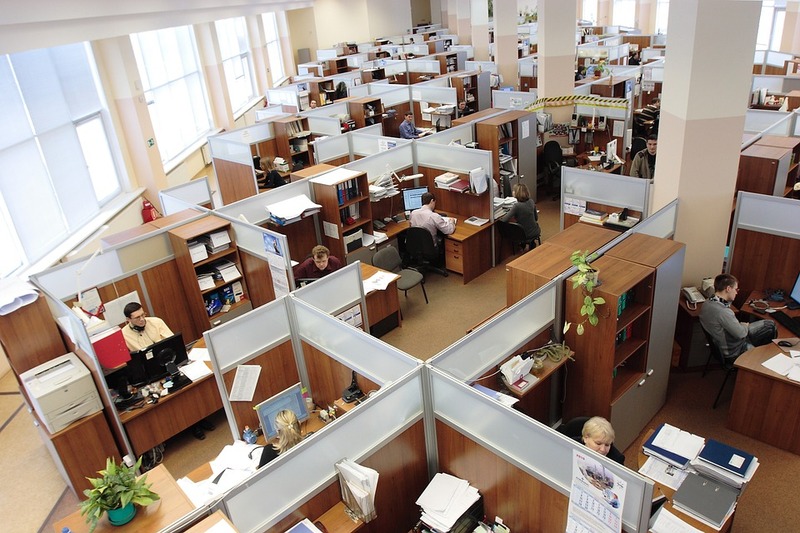 According to Office Finder, it’s best to allow about 175 square feet of space for each person who works in your office. Leaders and executives usually require between 200 and 400 foot square feet. Open office workstations only require about 100 square feet per person. Admittedly, that’s tough to visualize. This infographic will help. These are general guidelines that vary based on your type of business. Call center workers, for instance, don’t need much desk space, but architects need a lot of room to lay out blueprints. 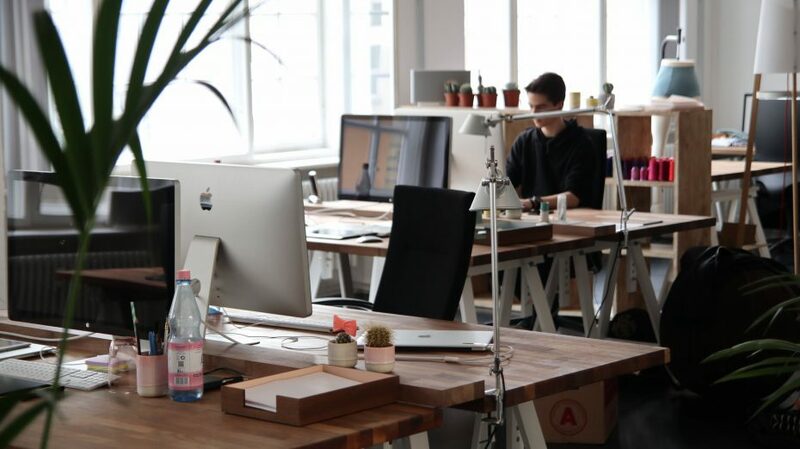 Your square footage needs will increase if you require dedicated meeting space, offices with closed doors, or a specific layout of desks/cubicles. Consider specialty working space beyond desks and cubicles. Do you need a server room? Refrigerated space for food and beverages? Manufacturing equipment? Medical exam rooms? Those guidelines refer to usable space, by the way, not total space. Some building owners and listing agents will include square footage that can’t be used reasonably (alcoves, cubbies, etc.) in their total. If you’re thinking about leasing a space, it’s smart to measure it yourself to make sure you get what you pay for. Calculating how much square footage you need isn’t a precise science. Nevertheless, it’s good to have a range in mind so your real estate agent knows which spaces to show you. For instance, you might determine that you need at least 12,000 square feet, but don’t want to pay for more than 18,000. If you’re unsure about how much space you need, try this calculator to get a general idea. To determine how much space you need, it’s best to start with the type of layout that best suits your business. Essentially, you have three options. On one end of the spectrum are open offices: Big open rooms where everyone sits and works together. Workers usually sit at community tables or desk clusters. On the other end of the spectrum are networks of traditional private offices, conference rooms, and support rooms. These aren’t as trendy as open offices, but many business prefer them. The third option is some combination of both. Employees have some degree of privacy, but plenty of work happens right in the open. This layout is useful for teams with mixed needs. For instance, the marketing team may like working together in a group, but the CEO needs a door he or she can close. 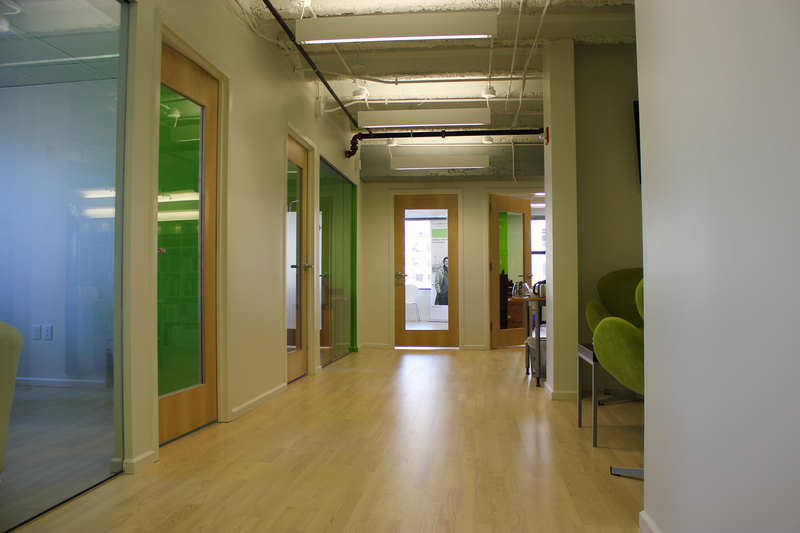 With open offices, you can pack more people into the same space, but private offices provide privacy and confidentiality. Study the advantages and disadvantages of each before choosing a layout for your team. Quiet rooms: 25 to 50 sq. ft. File room: 200 sq. ft. Storage room or library: 200 sq. ft. Lunch rooms: 15 sq. ft. per person (not including kitchen area). Nevertheless, your common space needs depend on your style of business. For instance, open office layouts probably don’t need dedicated meeting space, except in cases where meetings discuss private matters. Private offices need somewhere to meet together, except in the case of small teams who don’t mind meeting in someone’s office. If you expect to receive guests, customers, patients, vendors, or partners, you’ll need a reception area. This space needs to accommodate your receptionist (or team) plus as many guests as you expect to enter at a given time. You can reduce your reception needs by implementing a tool like The Receptionist for iPad. It replaces most of your reception tasks like checking in arrivals, collecting visitor information, notifying your team, and printing badges. You wouldn’t think abstract attributes like your company culture would play a role in your physical office space, but it’s actually quite impactful. Examine your culture carefully and ask how it affects how your team works. If you aren’t in tune with your culture, you may have to review your mission statement or company values. For instance, if your company values long stretches of uninterrupted work (perhaps you ban meetings before lunch), you’ll need workspaces that facilitate privacy and focus, which may cost more square footage per employee. If your company values leanness and agility, you may be willing to sacrifice some square footage to spend that cash on growth. Additionally, consider how the workplace is changing. As of 2017, 3.7 million employees are working from home. You may not need as much space as you think if a portion of your workforce works from home occasionally. Sharing desks (“hoteling”) could be an option. Truthfully, these types of variables are ambiguous and tough to plan, especially if you don’t have experience in office design. It’s worth the money to work with an architect or design consultant to get it right. Moving to a new office isn’t something you want to do often, so it’s important to plan ahead and make sure your next office meets your current and future needs. Do you expect to hire more people next year? Will you move into a new market or verticle that requires space for special tools? Do you need somewhere to put next year’s big inventory buy? It’s best to lease spaces so that you reach your occupancy limit two-thirds or three-quarters of the way through your lease term. Think about how your business will change over the next ten years. Consider everything you can, like how your business will grow (and what you’ll need to handle that growth), how the economy will change (for your market and in general), and what kinds of equipment and people your office space will need to support. Consult your business plan or whatever roadmap you use to plot your business’ course. Sit down with anyone in a leadership role and ask them about their future needs. Find out how they plan to use their allotted space over the coming years. As you consider the size of your next office space, ask yourself the following questions. These will help you uncover all the hidden variables that affect your needs. How much office space do you really need? Enough to comfortably seat all of your employees, provide for shared common space, suit your culture, and allow for future growth. If you have the funds or expect to grow quickly, tack another 10-15% on their for safe measure. If you carefully consider the critical variables we’ve outlined here, you’ll find the perfect space that pleases your team and meets your needs. As you consider the size of your next office space, ask yourself the following questions to uncover your needs. Subscribe to receive this extra resource.